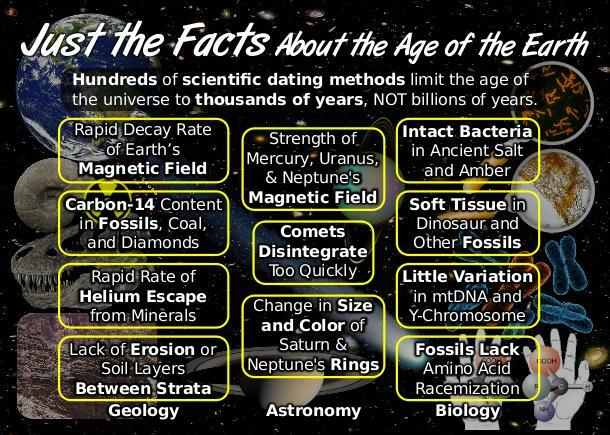 Hundreds of scientific dating methods limit the age of the universe to thousands of years, NOT billions of years. Rapid decay rate of earth’s magnetic field: Thousands of years, NOT billions! During the worldwide flood, earth's magnetic field rapidly reversed several times due to rapid plate tectonics. 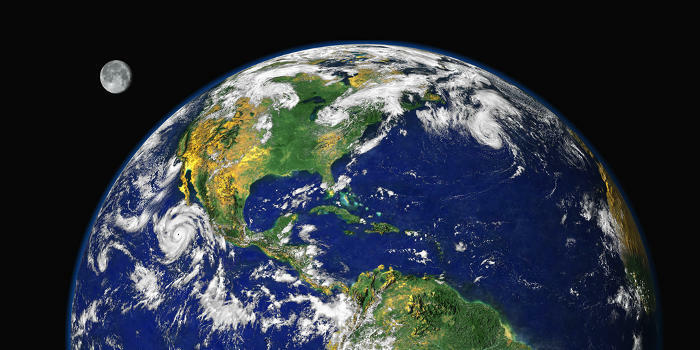 Archaeological and modern measurements have shown that the magnetic field is declining with a half-life of about 1,611 years.1 Since life could not exist with an exponentially stronger magnetic field, this evidence confirms that the earth is less than 10,000 years old. Carbon-14 content in fossils, coal, and diamonds: Thousands of years! 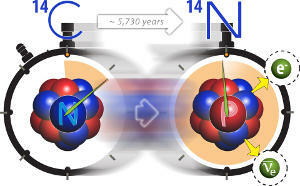 Carbon-14 has a half-life of about 5,730 years. 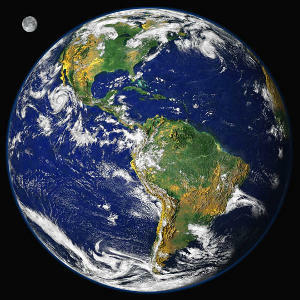 Plants and animals living today contain carbon-14 that will completely decay after 10 half-lives (about 60,000 years). 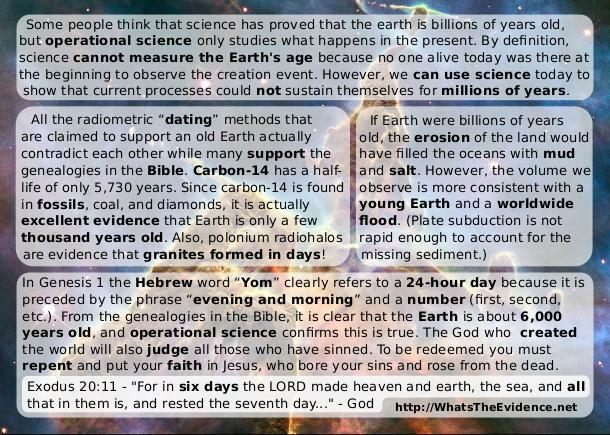 Since fossils,2 coal,3 and diamonds4,5 (that are supposed to be millions or billions of years old) still have carbon-14, that indicates they are only thousands of years old. 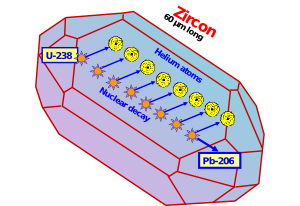 Rapid rate of helium escape from minerals: Thousands of years! Lack of erosion or soil layers between strata: Formed in a few years! The geologic sequence that makes up the Grand Canyon is made of several strata that show no signs of weathering between each rock layer. 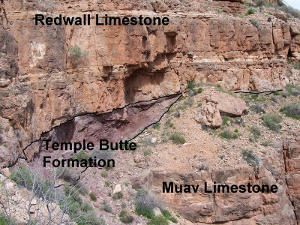 The boundaries below the Tapeats Sandstone, Redwall Limestone, Hermit Shale, and Coconino Sandstone show no sign of erosion, soil, or insect activity.7 This is not possible with the uniformitarian belief that the strata were exposed for millions of years before deposition of the next layer, but it is consistent with the rapid formation during the worldwide flood. 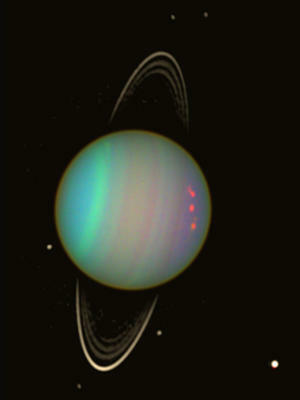 Strength of Mercury, Uranus, & Neptune's magnetic field: Thousands of years! 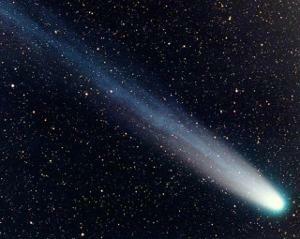 Comets disintegrate too quickly: Thousands of years! When comets pass the sun, they lose much of their icy material, giving them a maximum lifespan of 100,000 years. Many comets could only survive for less than 10,000 years.9 Since there is no scientifically observed source of new comets, all existing comets must be only thousands of years old. 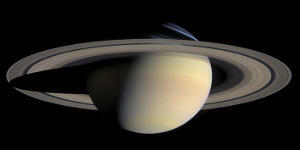 Change in size and color of Saturn & Neptune's rings: Thousands of years! Intact bacteria in ancient salt and amber: Thousands of years! The basic chemical bonds of DNA break down over time, yet scientists have found bacteria with intact DNA in amber (supposedly 45 million years old) and in salt crystals (supposedly 425 million years old).12 Some of the bacteria were so well-preserved, they were able to be revived from a dormant state. Since DNA cannot survive more than thousands of years, the geological formations they are found in cannot be millions of years old. 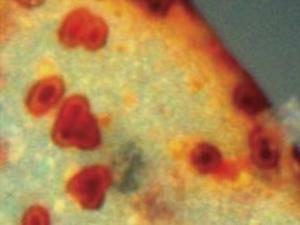 Soft tissue in dinosaur and other fossils: Thousands of years! Many fossils have been found that contain soft tissue including dinosaur blood vessels, blood cells, and collagen.13 The rapid decay of soft tissue indicates they have to be less than thousands of years old. 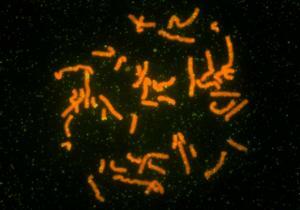 Little variation in mtDNA and Y Chromosome: Thousands of years! Mitochondrial DNA only comes from the mother and is passed to all her children. 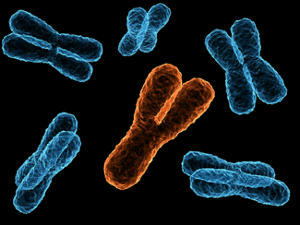 The Y chromosome is passed from the father to the son. Both of these are passed down unchanged, except for a few coping errors that are inserted each generation. Based on genetic testing, we know there are only 22-100 mutations between us and “Mitochondrial Eve” (the mother of all humans).14 The small number of mtDNA and Y-chromosome mutations is excellent evidence of a recent human ancestor only 160 generations ago just like recorded in the Bible. Fossils lack amino acid racemization: Thousands of years! All living things are made of 100% left-handed amino acids. 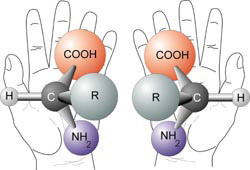 Upon death the chemical breakdown process starts reverting the amino acids to a naturally forming 50:50 ratio of left-handed and right-handed amino acids (racemization). Uniformitarian scientists believe this would happen in 20 million years. 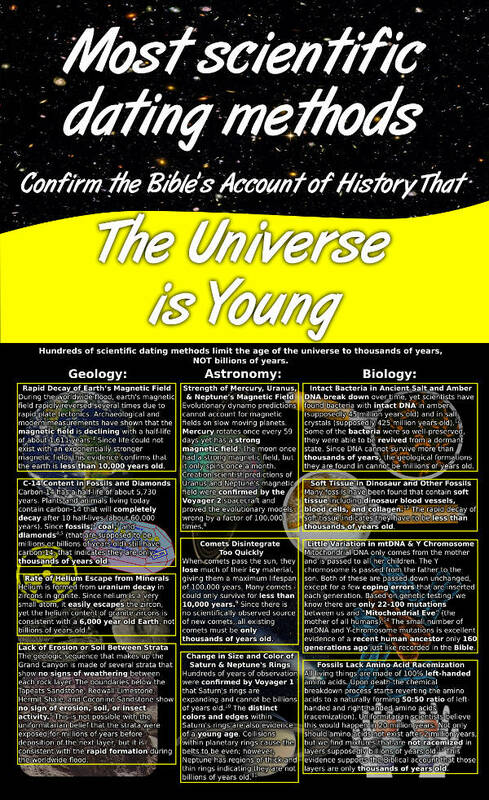 Not only should amino acids not exist after 2 million years, but we find mixtures that are not racemized in layers supposedly billions of years old.15 This evidence supports the Biblical account that those layers are only thousands of years old. 1. Humphreys, R., Earth’s magnetic field is decaying steadily—with a little rythm, CRSQ 47(3):193–201; 2011. 2. A. A. Snelling, Radiocarbon Ages for Fossil Ammonites and Wood in Cretaceous Strata near Redding, California, Answers Research Journal 1: 123-144; 2008. 4. J. R. Baumgardner, 14C Evidence for a Recent Global Flood and a Young Earth, Radioisotopes and the Age of the Earth: Results of a Young-Earth Creationist Research Initiative, eds. 5. L. Vardiman, A. A. Snelling, and E. F. Chaffin (El Cajon, California: Institute for Creation Research, and Chino Valley, Arizona: Creation Research Society): pp. 587–630; 2005. 7. A. A. Snelling, No Slow and Gradual Erosion, Answers Magazine; November 2008. 8. Creation Research Society Quarterly 27(1): 15–17, 1990.